Bad Plots,what to check; Easy to fix. Making bad plots/cuts? Our systems are simple — follow this article for 3 easy areas to check to make your plots accurate and repeatable. 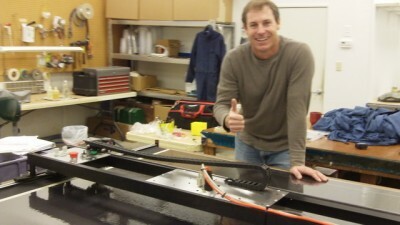 Carlson Design visited Pensacola, FL the beginning of 2011 to provide training and service for Breathing Systems. Breathing Systems is using the PT-72 for prototyping a new medical device. They installed their own system Jan. 2010 and now familiar with the system, asked us to visit for advanced training.